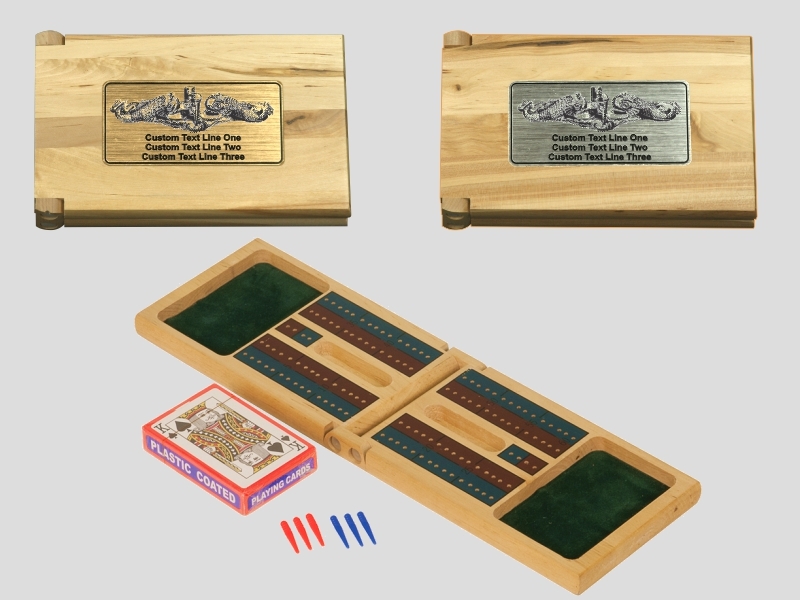 This high quality, folding cribbage board is made for both style and convenience. Made from Rubberwood and comes with a personalized dolphin plaque in your choice of either a Brushed Brass or Brushed Silver Finish. Perfect for travel with all the pieces securely inside. This truly allows you to show your pride at the game table. - The overall size of the board when open is 14 3/8" x 4 1/4" x 5/8"
- The folded size of the board is 7 1/4" x 4 1/4" x 1 3/8"